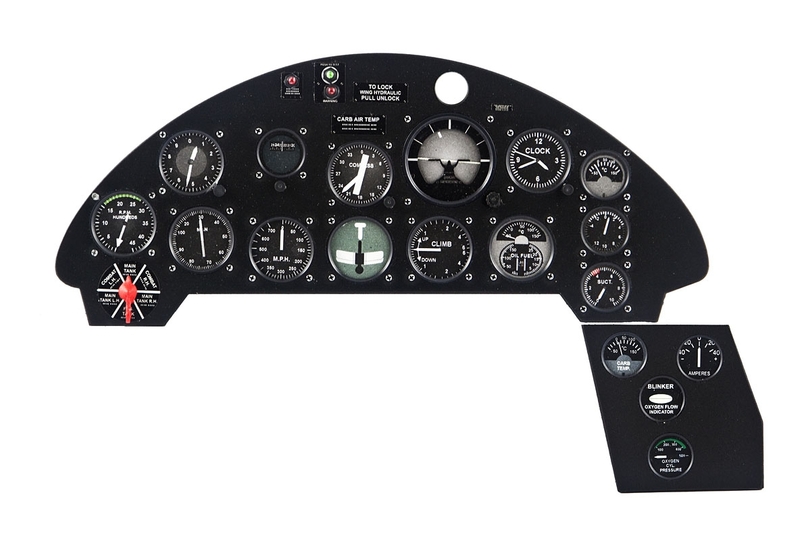 As a standard, the instrument panel kits are made in 1/4 scale. 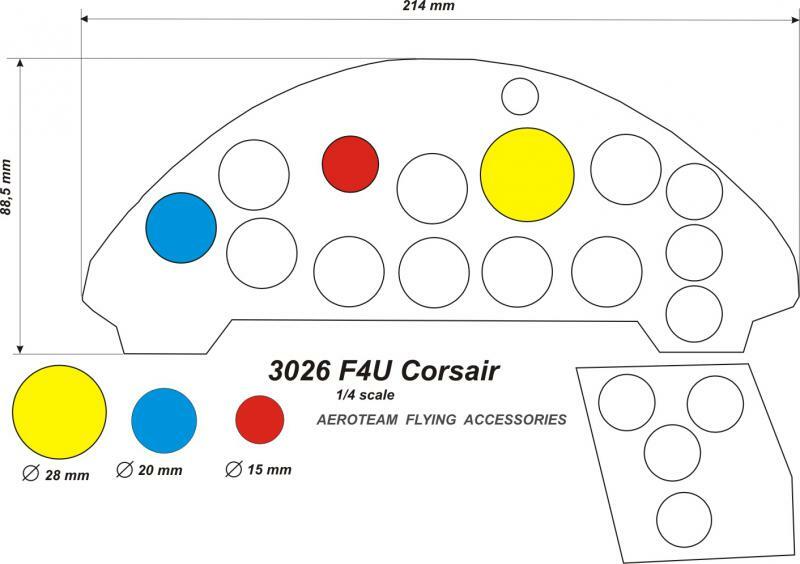 They contain the basic instrument panel (for most types already worked and sprayed by a respective colour). 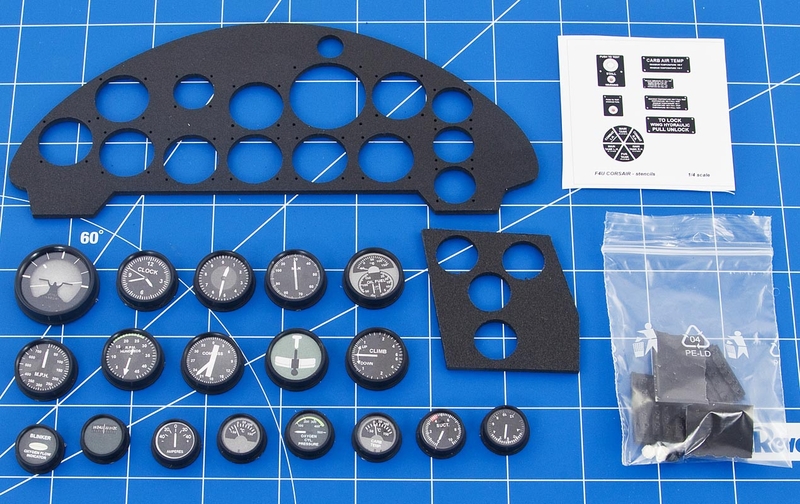 Furthermore, the kits contains a set of instruments for a give an aircraft type, control elements, decals and other necessary accessories a natural part of the set are a drawing of the panel and detail instructions.